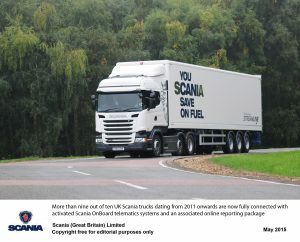 More than nine out of ten UK Scania trucks dating from 2011 onwards are now fully connected with activated Scania OnBoard telematics systems and an associated online reporting package. 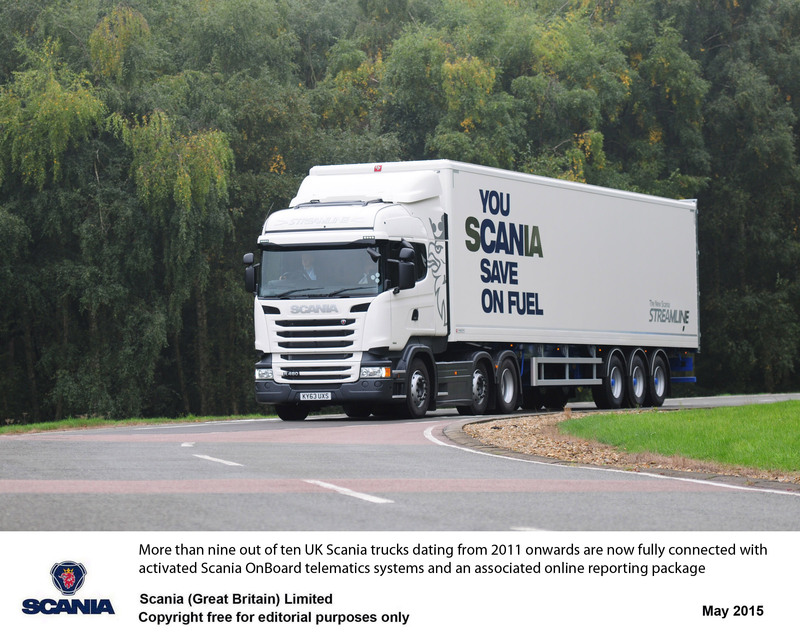 In order to drive up fuel savings, Scania has been offering operators of telematics-equipped Scania trucks complimentary activation and a ten year subscription to Monitor, the entry level OnBoard reporting package, since last August. “Monitor opens the door to Optimise and the potential savings it offers by way of driver training and ongoing driver coaching,” says Matthew Watson. “And for operators requiring more in-depth understanding of their fleet performance, two additional levels of support – Control and Remote Tachograph Analysis – are also available.